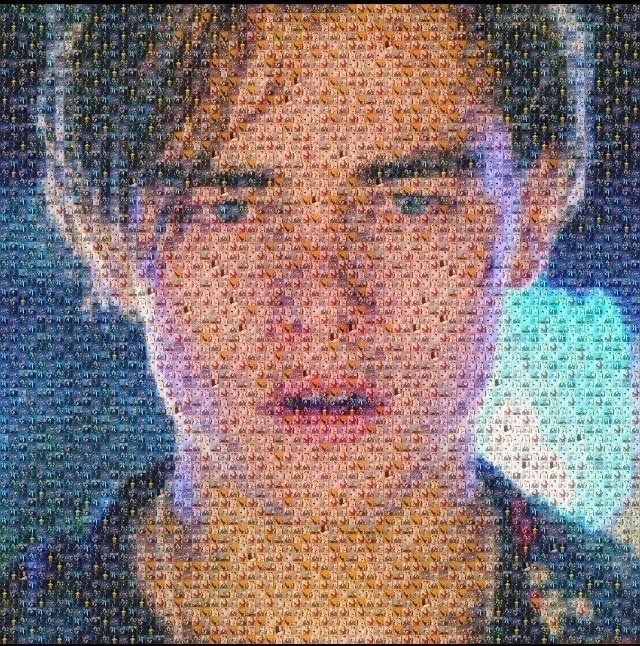 A mosiac of Oscar bridesmaid Leonardo DiCaprio made out of Oscar winners. Always a bridesmaid, maybe a bride? As we revisit a popular post from last year’s Oscar season, let us wonder who might have caught the bouquet at last year’s Governor’s Ball. The Oscar bridesmaid, if you’ll recall, is that nominee who has long been eluded by the little golden groom. It might take a while to win one, but a combination of merit and momentum can turn a bridesmaid into a bride as the Oscar race swells in a demand to see a nominee take a trip down the aisle. The wedding party of Oscars 2013 boasts a familiar pack of Oscar bridesmaids. At least three nominees should wear seafoam to the awards, since they were on this list last year and they will likely be listed again given their chances in this year’s race. (Those nominees are Roger Deakins, Thomas Newman, and Wylie Stateman.) Few of this year’s Oscar bridesmaids actually stand much chance at winning, so cross your fingers and wish them many happy returns! Last year’s post ended with a joke about wishing Leonardo DiCaprio luck on his campaign for The Wolf of Wall Street after his Best Supporting Actor bid for Django Unchained lost out to the film’s co-lead, Christophe Waltz. DiCaprio’s flirtation with Oscar might have ballooned into more whispering of “pity the Oscar bridesmaid” than any contemporary actor. He wants it and his fans want it, but Oscar won’t give it up. It’s almost become a mania to read the past decade of DiCaprio’s work in terms of Oscar snobbery. Every performance he gives allegedly has him seeing the Oscar. Just look at the picture above, or at the collage portrait of Leo made out of other people winning Oscars. No serial loser has inspired so many theories, essays, or memes. He’s a good sport about it, at least, joking that he now has a special card for losers, but it must be frustrating to be shut out so often when so many of his films are endorsed by the Academy. That card might come in handy this year, though, since the current race seems unlikely to bridge the gap between the admiration for DiCaprio’s work from fans/critics/peers and from the Academy. DiCaprio is the dark horse of the Best Actor race for sure. The late release of The Wolf of Wall Street prevented DiCaprio’s performance from receiving the same level of attention that Matthew McConaughey, Bruce Dern, or Chiwetel Ejiofor received from the precursors. Only one race—the BAFTAs—really put DiCaprio head-to-head with frontrunner Matthew McConaughey and they both lost to Ejiofor. Add to this competitive year the controversy surrounding The Wolf of Wall Street, and DiCaprio seems likely to be a bridesmaid once again. DiCaprio, however, could benefit from the fact that he was consistently defending the film on the awards circuit: Leonardo DiCaprio surely won’t win a Best Picture Oscar for The Wolf of Wall Street, but a Best Actor prize could be the Academy’s way of acknowledging the popular film without seeming to endorse its subject. Amy Adams doesn’t have the same novelty surrounding her history of losses as Leonardo DiCaprio does. Adams offers a different kind of Oscar bridesmaid: she’s the quiet, modest, consistently likable candidate who is politely awaiting her turn. Her nomination for American Hustle certainly marks an upward step after four nominations for Best Supporting Actress (for The Master, The Fighter, Doubt, Junebug), since she’s a leading-quality star who has had a surprisingly slow move out of supporting roles. She’ll win one day. March 2nd might not be that day, though, since Cate Blanchett seems like a virtual lock to win for Blue Jasmine. Alternatively, Adams might present one case in which an overdue candidate benefits from a desire to share the wealth. Adams is the only one of the four Best Actress nominees without an Oscar (as Blanchett, Sandra Bullock, and Judi Dench all have one while Meryl Streep has a well-deserved three). The last time something like that happened was for the 2002 Oscars when The Pianist’s Adrien Brody pulled a surprise win by besting heavy favourites Daniel Day-Lewis (Gangs of New York) and Jack Nicholson (About Schmidt), plus strong contenders Nicholas Cage (Adaptation.) and Michael Caine (The Quiet American). The Academy clearly loved The Pianist, which might have been more of a factor than the Oscars held by the other nominees were, especially since Brody’s career hadn’t brought him to the awards before. The Academy seems to love American Hustle, though, since they gave it four acting nominations, and one of them marks Adams’ inclusion over presumed spot for Emma Thompson. Factor this tidbit in with the obvious fact that Adams’ work has gone un-Oscared, and her support could gain a needed boost. Cate Blanchett seems unbeatable, but American Hustle has to win something big, right? This could be the year that Brad Pitt finally wins an Oscar, but virtually nobody is noting it. This fact seems inconsequential in comparison to the significance of 12 Years a Slave, so kudos on the team at Fox Searchlight for sticking to the better story. One should also note that the Oscar campaign omitted Pitt’s name from the list of actors to consider for Best Supporting Actor, thus avoiding a push of the film as a “Brad Pitt movie”. (Pitt’s name, however, was on the list of producers.) 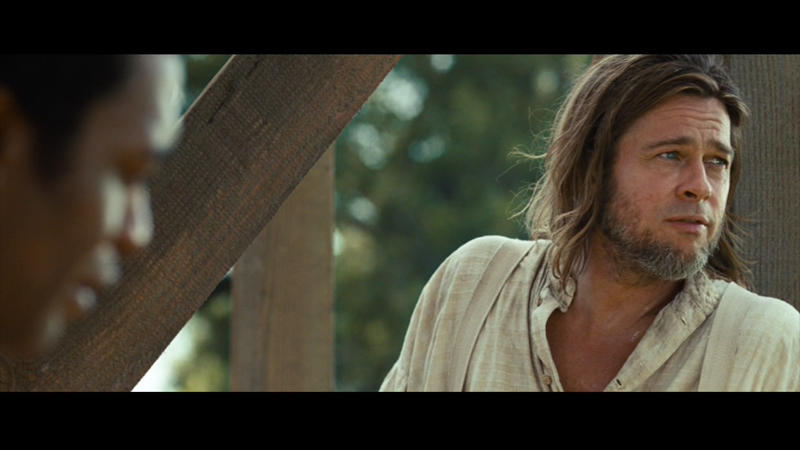 Slave marks Pitt’s second nomination in the Best Picture category (his first was for Moneyball), although he also produced the Oscar-winner The Departed and the nominee The Tree of Life. Bringing his tally up to five nominations are his performances in Moneyball, The Curious Case of Benjamin Button, and Twelve Monkeys. Pitt remains one of the most underrated actors today despite his heavy star status, but his increased efforts as a producer suggest that he’s more focused on making films that matter than he is on collecting awards. 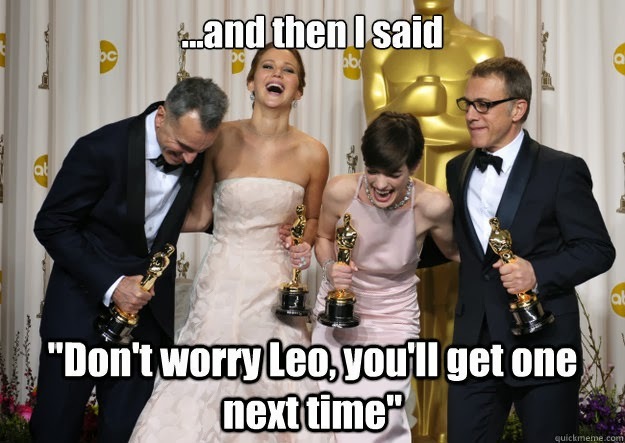 Either factor could work in his favour come Oscar night. George Clooney won Best Picture last year, so why not Pitt this year? 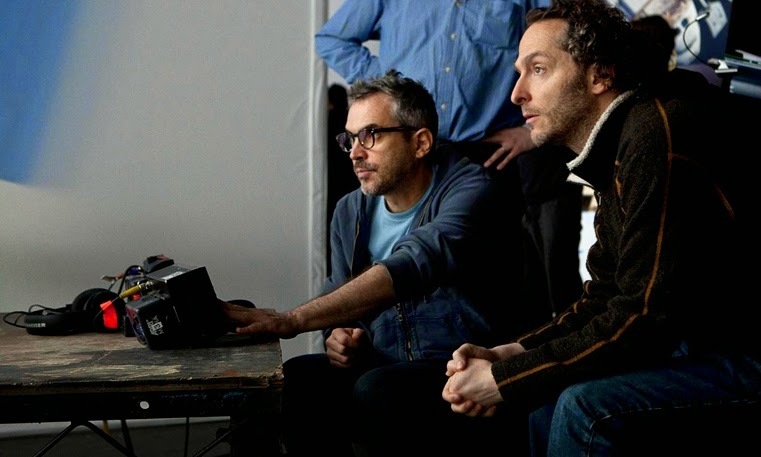 Emmanuel Lubezki should have at least two Oscars by now. I’d have given him the prize for The Tree of Life and Children of Men. The latter loss for the Alfonso Cuarón film was especially surprising if one remembers that extraordinary long take of an action sequence that whirled around a car. (The long take in Gravity is just as stunning.) His loss for Tree of Life, on the other hand, could account for the same reason that he will win this year. Tree of Life lost to Hugo, which wowed audiences with 3D visual effects and green screens. Hugo, like fellow winners Life of Pi and Avatar, suggests that Oscar voters might not see much of a distinction between virtual wizardry and cinematographic skill. Gravity might be driven by special effects, but Lubezki’s cinematography seems like the culmination of his work. The stunning fifteen-minute long take that opens the film realizes 3D space unlike any film and it is easily the best special effect Gravity has to offer. Moreover, Gravity suggests that the work of a cinematographer in the digital age can extend far beyond the shooting stage, for a DP can take an active role in the overall visual execution of a film by working alongside the VFX team and the director to plan shots and blend digital cinematography with visual effects. (See this article in American Cinematographer for a breakdown of Lubezki’s work on the film.) The difference between Gravity other nominees like The Grandmaster or 12 Years a Slave hints that it might be time to create a new category to honour the different branches of cinematography. The Academy made separate prizes for colour and black and white cinematography when colour films become more prominent, so why not offer a prize for Best Cinematography and one for Best Cinematography in a VFX film? Oscar fans can decry the conflation of visual effects and cinematography all they like, but there’s no denying that Lubezki’s ability to harness the space, scope, and atmosphere of the project merits an Oscar long overdue. I’ll feel really bad for Roger Deakins if Bruno Delbonnel wins the Oscar for Inside Llewyn Davis. Delbonnel stepped in to shoot Davis when Deakins was away shooting Skyfall and the Coen Brothers needed someone to take over for their long-time collaborator. 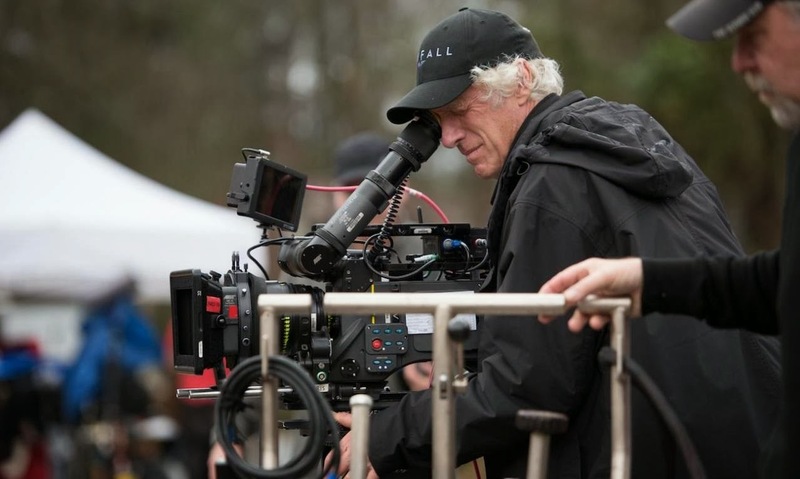 Any of Deakins’ collaborations with the Coen Brothers, likewise, could easily point to the significant role a DP plays in the creation of a film’s overall artistic vision, as could his work on Skyfall, which transformed a James Bond film into art. Perhaps the best example for how voters are neglecting the old ways of the camera may be seen in the seemingly endless string of losses for the great Roger Deakins. Nobody quite captures light the way Deakins does. It seems criminal that he has never won before, especially when his past nominations are for his striking work in (deep breath): Skyfall, True Grit, The Reader, The Assassination of Jesse James by the Coward Robert Ford, No County for Old Men, The Man who Wasn’t There, O Brother, Where Art Thou?, Kundun, Fargo, and The Shawshank Redemption. Deakins probably came close with Skyfall and he might have cancelled himself out with two nominations in 2007 (for Jesse James and No Country). It doesn’t help matters that Deakins’ status as a talent long overdue coincided with the boon of 3D. Perhaps voters take such work for granted. The excellent cinematography of Prisoners seems unlikely to bring Deakins his first win since it is less showy than Deakins' previous work and the film hardly factored into the awards conversation at all this season, but his nomination suggests that some contingent of the cinematographers’ branch still recognizes traditional work. Thomas Newman joins Deakins as two of Oscar’s back-to-back bridesmaids. (They both lost for Skyfall.) Newman has a tricky bid to win, for Saving Mr. Banks didn’t go over well with the Academy at all. The actors didn’t like Emma Thompson or Tom Hanks; the costume designers didn’t like the mix of period work; the writers didn’t like its insider’s glimpse of the movie biz; therefore, the voting body might not give a second thought to the music. The score of Saving Mr. Banks is lovely and characteristically Newman with its sprightly swelling strings and piano notes that hit all the right emotional keys like the composer’s nominated scores do in films like Finding Nemo, Road to Perdition, and American Beauty. The score for Saving Mr. Banks is a highlight of the film and it draws the audience into the Disney magic. It might be the one element of Saving Mr. Banks that anyone can appreciate regardless of whether one likes the film. However, one might also have said the same for Emma Thompson. Golden Globe winner Alex Ebert didn’t make the cut for All is Lost, so the frontrunner in the category could be BAFTA and Critics’ Choice winner Steven Price for Gravity, but I wouldn’t underestimate the long-overdue Alexandre Desplat to score a win for Philomena’s skillful subtlety. I said in my “Memo to the Academy” that Desplat deserves to win Best Score for Philomena. A win for Philomena would finally bring him to the stage after his nominations for Argo, The King’s Speech, Fantastic Mr. Fox, The Curious Case of Benjamin Button, and The Queen. His delightfully understated composition could pull an upset, since Philomena seems like a wild card in the Oscar race. People love it; it’s a crowd-please; and it appeals to the exact demographic that forms much of the voting body. Judi Dench, however, seems unlikely to win, while the screenplay by Steve Coogan and Jeff Pope has an outside chance. Best Score seems like Philomena’s best shot, for it could bring support for the film and support for the outstanding composer to the portion of voters who recognize the music as simply a lovely and effective score. It’s been 35 years since Patricia Norris received her first Oscar nomination for Days of Heaven. She’s back in the running after a long hiatus from competition and her impressive period work on 12 Years a Slave could easily bring a win. Norris faces stiff competition from The Great Gatsby’s Catherine Martin, but the 82-year-old veteran reportedly created the film’s detailed costumes through exhaustive research and artistic intuition. An interview with Vanity Fair notes how Norris had little to work with, aside from a few sketches, and extended the realism of the project by looking back to the decades of the fashion prior to Solomon Northup’s story to devise some well-worn hand-me-downs to dress the slaves. 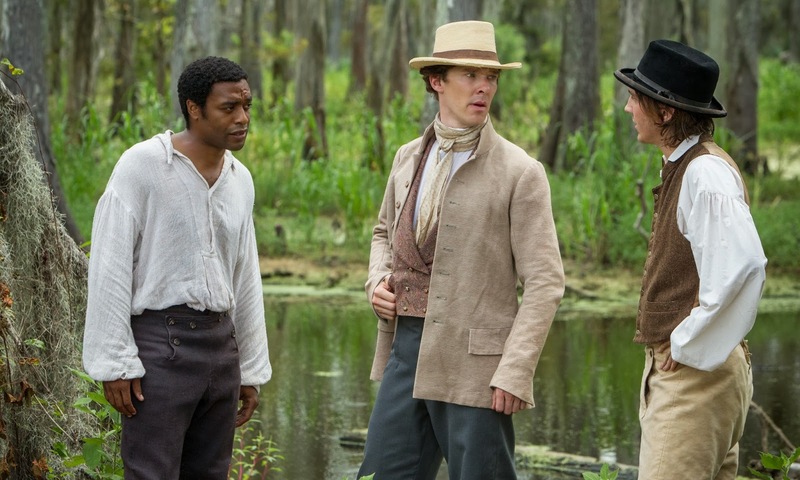 12 Years a Slave offers the kind of work that the Academy tends to favour, so Best Costume Design could give an early indicator in the broadcast for whether Slave will sweep the show. Other Oscar bridesmaids in the wedding party include double-nominee Skip Lievsay, who could win Best Sound mixing for either Gravity or Inside Llewyn Davis; the aforementioned Wylie Stateman is a dark horse for his seventh bid in Best Sound Editing for Lone Survivor, and VFX nominee Daniel has his sixth nom, although he probably won’t win for Iron Man 3 if he didn’t win for Iron Man or Iron Man 2. There is such a wealth of talent in this roster of un-acknowledged artists, though, that one must remember that an Oscar hardly defines the greatness of a career of outstanding work. Which Oscar Bridesmaid do you hope to see walk down the aisle?